Wildcat QB Puking After Hit, AND PLAYS ON!?!?!?!? A few weeks ago we had ‘Woodsgate’, and in a game where USC was playing we now have ‘Scottgate’. Arizona quarterback Matt Scott took a kick to the head and was immediately witnessed and reported throwing up. Concussions are mainly a subjective injury, meaning we cannot “see” what is going on, however, there are times when a player/person exhibits signs of a traumatic head injury. It has been my experience as an athletic trainer and one who deeply studies concussions that signs are often the best information we can get as clinicians/health care providers. I have never been around a player that has had overt signs such as: balance disturbance, slurred speech, wandering eyes or VOMITING and not had a concussion. Congratulations, University of Arizona. Your football team just scored a big win over USC–partly because your quarterback played through an almost-certain concussion. 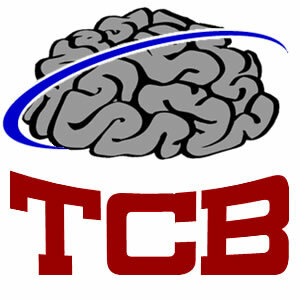 TCB follow-up to Robert “Woodsgate” and this is not the first time the PAC-12 has been under the microscope here at TCB, if you recall “Lockergate” a few years back. A concussion, at the very base level, is a pathological event that results from forces to the brain that cause disruption of normal brain activity. These “disruptions” can occur immediately or in a delayed response. Regardless, any disruption of normal physical, cognitive or emotional behavior would fit this criteria. The new standard of care for concussions across all levels is that if someone exhibits signs of a concussion they should be removed from play for a proper evaluation. If there is no one there to do a proper evaluation (see youth and HS levels) then that player may not be returned to the game and cannot return to sport without a medical clearance from a physician.